This “Colorado Treasure” has its share of very talented local artists. 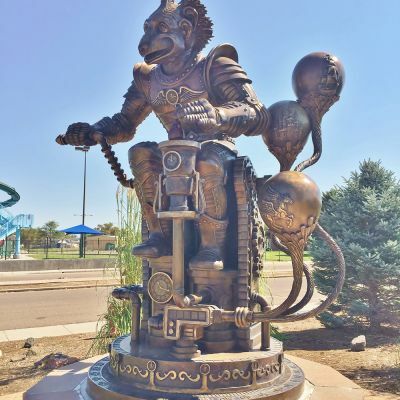 Sterling is known as the City of Living Trees for its collection of cottonwoods that have been carved into fanciful creatures and inspiring characters by artist Bradford Rhea. 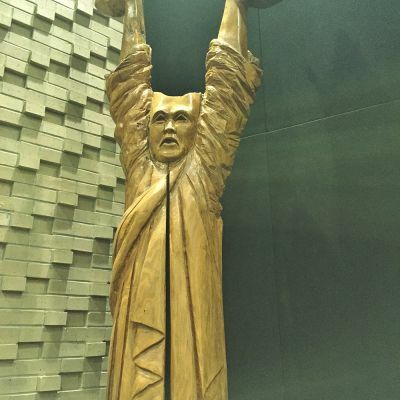 Some of the sculptures have now been restored and cast in bronze and several have been moved inside. 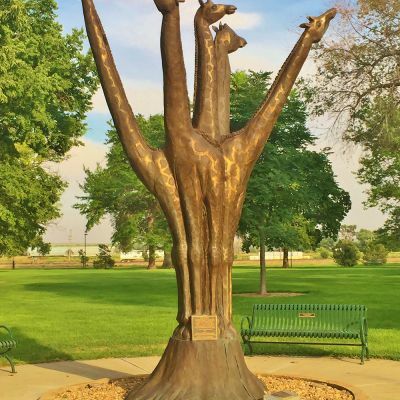 Twelve of Rhea’s 17 tree sculptures located within close proximity to one another can be viewed during a self-directed tour. 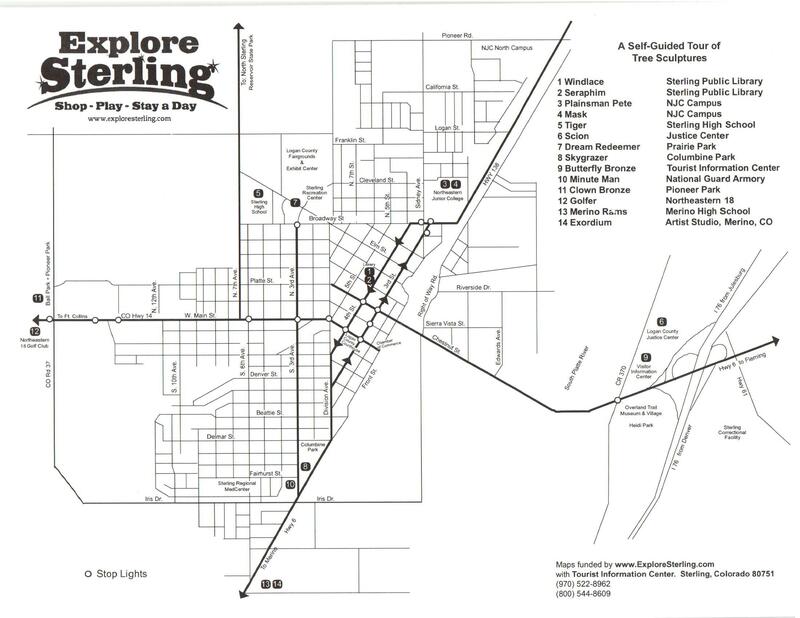 Pamphlets are available at the Tourist Information Center at the Sterling Rest Area. Click HERE for map. 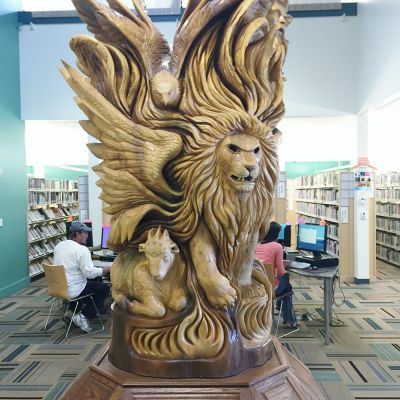 In order to see all of the sculptures listed in the pamphlet, the best time to take your tour is sometime Monday through Friday between 7 a.m. and 5 p.m. when all facilities are open and available. 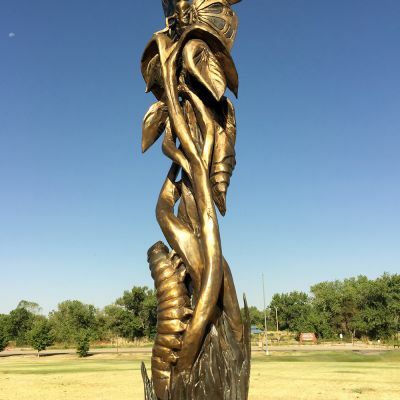 Nine of the tree sculptures (some of which have been replicated in bronze) are available for viewing via a self-directed tour, starting with “Metamorphosis” at the Sterling Visitors Center. 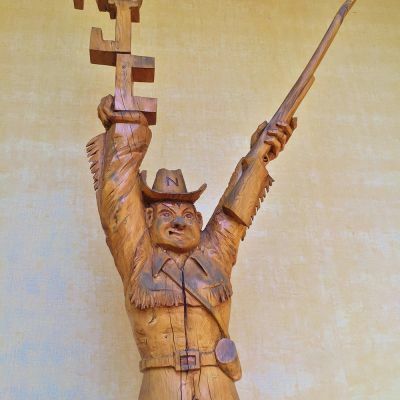 While people all over the world now own Rhea’s work, he began his sculpting career here on the Colorado high plains in the 1980s when he gave life to dying tree trunks throughout the community. 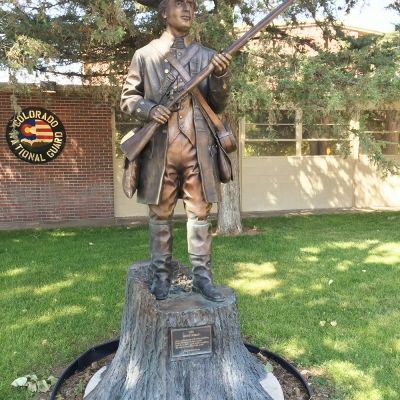 All around town are cottonwoods that he has carved into fanciful creatures and heavenly angels. In 1993, Rhea was commissioned by the United States Department of State to create a walking stick for then President Bill Clinton to present to Pope John Paul II upon his visit to the U.S. that year. 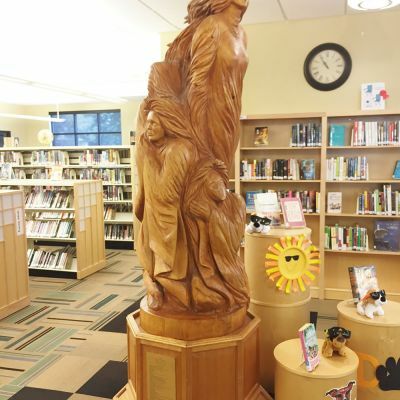 In seven days, Rhea created a staff carved from the roots of a honey locust tree. The artist lives and continues to create masterpieces from his studio in nearby Merino. 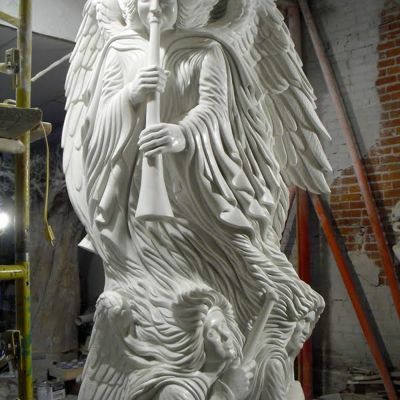 In addition to trees, he also carves his inspirations into huge blocks of marble, including a 30,000 lb. block of Colorado Yule marble. 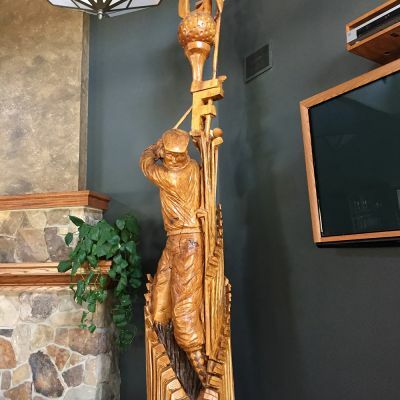 He also transforms bronze into works of art. 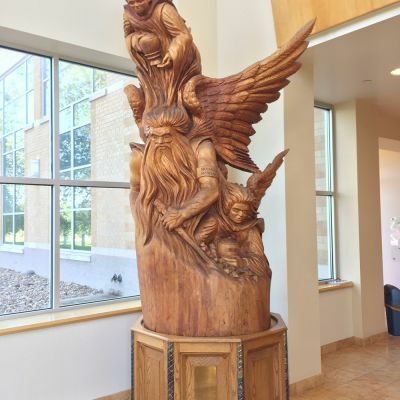 One of his early carvings, called Metamorphosis, greets visitors to the Tourist Information Center just east of Sterling. Ticks and tocks of magic clocks, Hands whirling as they run; Meshing gears rewind the years, Erasing all that's done. Night and day he churns away, With passion he redeems; Deflated lives his throne revives. Machining all new dreams.